It is with great honor we congratulate Christilot Boylen, 7 time Olympian on her purchase of Rocky Lane, 9 yr old Mare by Rock Forever. Rebecca is grateful for the time she has had with this special partner. 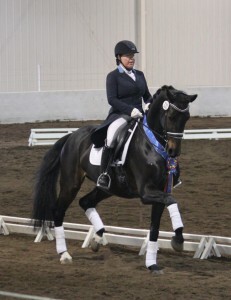 Rocky and Rebecca had a highly successful national career and now Rocky will move on to the International spotlight. Best of Luck to Rocky and Christilot!